Herbs and Nutrients for Liver Health is only available to members of Steven Horne's Member program. 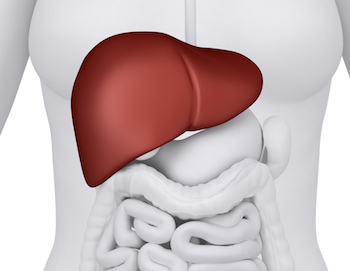 The liver isn’t a very glamorous body part, but this brown, three pound organ is one of the most overlooked body systems when it comes to overcoming chronic and degenerative diseases. With over 500 functions to perform, a sluggish, toxic, overworked and undernourished liver can contribute to numerous common health problems. Some of the more common liver-related health problems include difficulty relaxing and getting to sleep at night, feeling groggy in the morning, brain fog, headaches (especially migraines), PMS, skin problems (such as acne, boils or rashes), nausea and morning sickness, constipation, general malaise and much more. Emotional symptoms such as irritability, anxiety and depression can also arise from problems with this vital organ. Since medical tests only reveal serious liver diseases, moderate liver disease is usually overlooked in modern medicine. The liver patient has many vague and shifting health problems, but nothing severe enough to warrant medical treatment, which means they are often labeled a hypochondriac. In this month’s Herbal Hour we’ll learn about the many functions of liver and the many health problems that can arise when it can’t do its job effectively. We’ll help you recognize the symptoms associated with liver problems in traditional medicine, and provide you with an understanding of how to clean and care for you liver with proper diet, lifestyle, nutritional supplements and herbs. You’ll be amazed at how many health problems can clear up when you start taking care of your amazing liver.